This is a denser version of the 1990 that stylistically reminds me of what the young 1959 probably tasted like. Still backward with a deep ruby/plum color revealing only a touch of lightening at the edge, the wine offers up an extraordinary nose of caramelized herbs, smoke, cedar, pen ink, black currants, and earth. The gorgeous aromatics are followed by a full-bodied, plump, rich, fleshy wine with low acidity. With 6-8 hours decanting in a closed decanter, it will offer beautiful drinking, but it needs another 5-8 years to reach full maturity. It is capable of lasting 50-60 years. 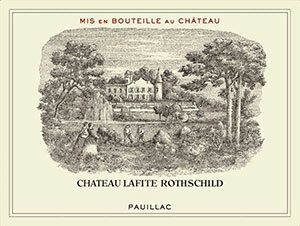 This classic Lafite is not as fat and concentrated as the 1982 Latour, nor as complex or concentrated as the 1982 Mouton Rothschild, but it is a winner all the same. Tasted at Pebbles/Zachy’s 1982 dinner in Hong Kong. This is the second time I have tasted the Lafite ’82 this year and both bottles have been exemplary. Here it has a brilliantly defined nose of black fruit, graphite and limestone that has an electrifying intensity – a brightness undimmed over three decades. The palate displays outstanding balance, a little more feminine than Latour and quintessentially “Lafite” rather than “1982”. Fleshy and opulent towards the finish, yet not flamboyant or as extrovert as Mouton, this is just a fabulous Lafite that should plateau for many years. Tasted November 2012.